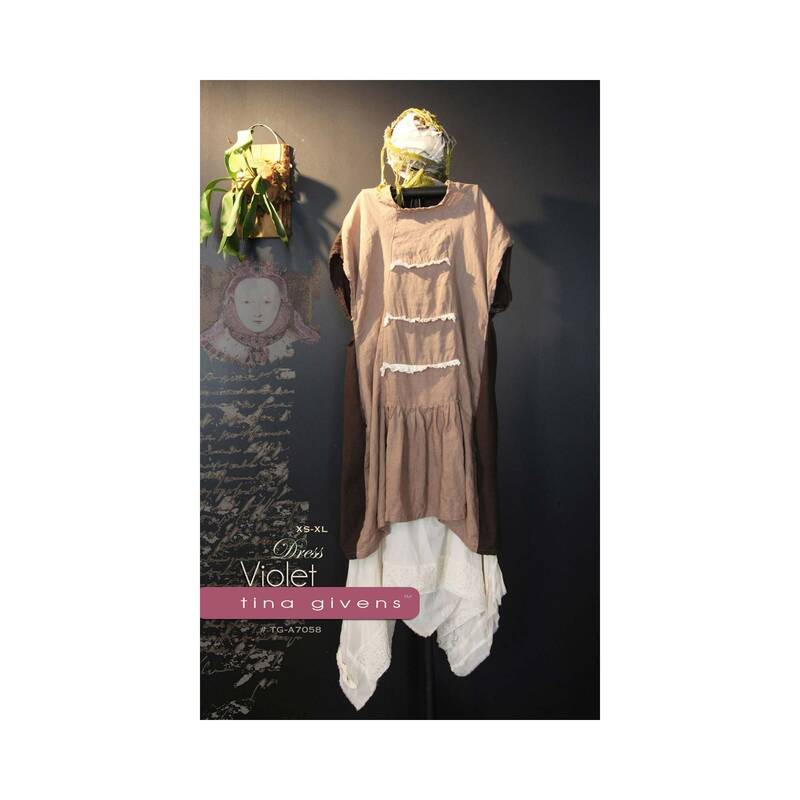 What a sweet tunic! Detailed front, overhang shoulders and a fun back detail. Pieced front dress panel with optional ruffles and detailed back. Side pockets. 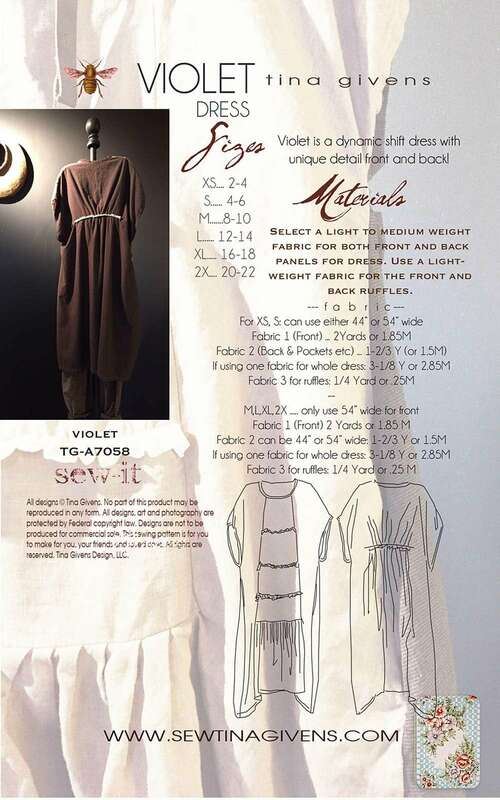 Make this one in light medium weight linen, voile ruffles, or a plain front. Perfect pinafore dress.